*Click on the image to have a clear view. 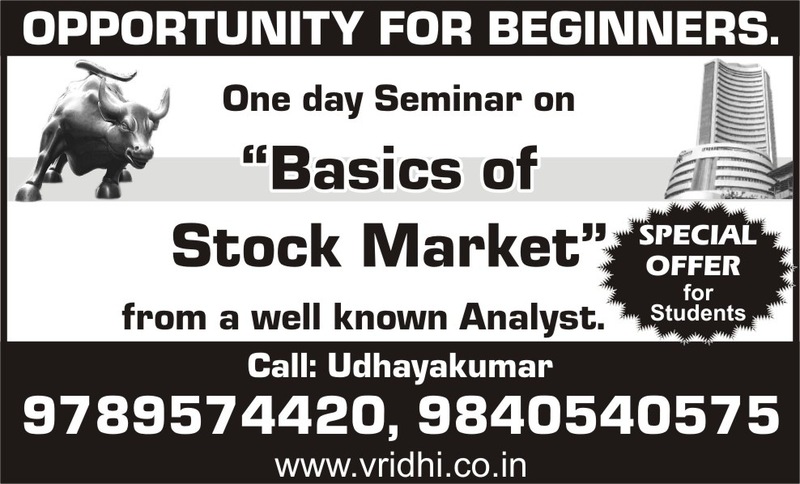 Xpress your Interest to join the seminar in the Comments section below. Investors willing to interact with our CIO during his visits for any advice can contact us. 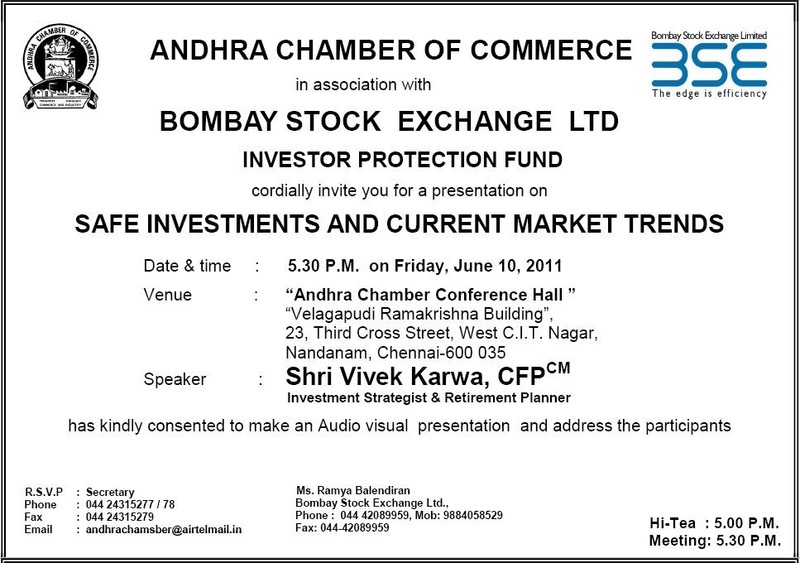 Mr.Vivek Karwa would be addressing a program Sensex’2011 on 10/01/2011 at Chennai, organised by a Stock Exchange & a Chamber of Commerce. Every Thursday on “NDTV Profit” channel at 11.00 a.m.